It’s that time of year when the weather might be cloying but you can keep cool with some of these flavorful fun beverages! 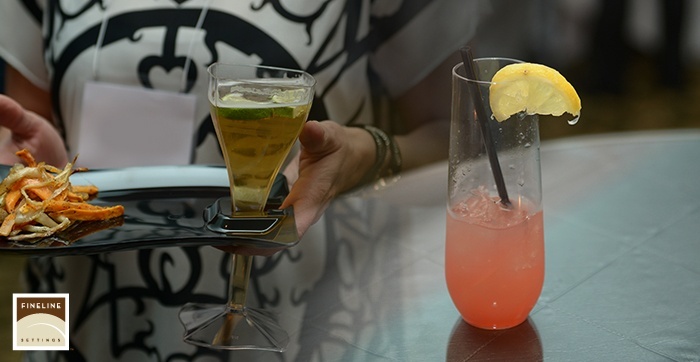 From slushes, to smoothies, sangria- and pints, we’ve got a stylish drink-ware option to fit your every need! Why struggle and stress about the potential disasters brought about by transporting and serving in traditional glassware, when there is an alternative that combines all the elegance and beauty of glass with the efficiency, durability, and convenience of disposable stemware? From cocktail-size, to a 35 oz Carafe, we’ve got the coolest collections for your summer get-together; and all with the modern convenience of completely recyclable Polystyrene, Polyethylene, Polypropylene, and more! With all these choices, it’s just another reason to look forward to a warm summer day! And because we know you’re already riding the waves of a fast-paced summer, we wanted to make your day a bit easier by introducing you to a few fantastic drink recipes to cool your hot summer daze! With kid-friendly and adults-only recipes, we’ve pined and pinned board of drink ideas perfect for every palette! FLS 2017 FAVORITE SUMMER SIPPERS! With the sunshine bright and pool totally cool, add a bit of ease to the rest of your summer celebrations with any one of our Fineline selections! We hope the rest of your summer is sensational! And we’ll be here every step of the way! We wanted to take the time this week to pick from two ends of the dietary spectrum. It's time to celebrate two silly but totally worth celebrating holidays that are coming up that pay homage our favorite medium. Food! National Watermelon Day is coming up, and because this large and lobbing fruit happens to be this blogger’s favorite healthy snack- there is much to be excited about! It cannot be expressed just how lucky humans are that some of the most delicious foods we eat were given to us by nature’s kind hand! There are too many wonderful fruits and vegetables that could be celebrated, but one special little soul deigned August 3rd as the day of that big green fruit- we know a certain comedian would be quite proud of that… whether or not the Watermelons would enjoy it, is an entirely different matter! So, as to help you enjoy your fruit; whether it be in the form of a cocktail, a salad or anything else you can concoct- we’re here to help you do it in style! Enjoy that fabulous Watermelon Martini in our Wavetrends 8 Oz. 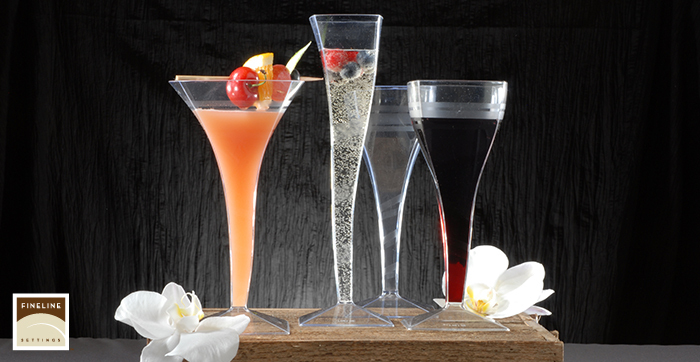 Martini Glass; your drinks will look absolutely fabulous and enjoyed just as fabulously thanks to the convenience of recyclable plastic! If you decide to dress up your Spinach with some cubes of the juicy, red goodness- then we suggest you paint your spectacular dish on the canvas of our new addition, the Square Splendor plate! No matter what you choose, one of Fineline Settings high-quality, premium collections will be there to compliment your dishes! Ok, we took the time to pay homage to all that is healthy and natural… but that doesn’t mean we’re going to forget another classic summer treat that has been around since little Brownies scouted for merit badges around an open campfire! That’s right, we’re talking about that oozy, gooey, and oh-so-sweet campfire staple… S’Mores! August 10th is National S’Mores Day, and what better way to enjoy the quickly approaching end to Summer Vacation than with this classic treat? Light up the fire pit and serve your family and friends on one of our Savvi Serve Plates, strong enough to handle the rugged outdoors while always giving that touch of chic that shines through all of our products! Now, you might have some traditionalists who say this oozy dessert only belongs sticking to your fingers around the campfire… But why can’t it be an elegant closing to any dinner party or event? Of course it can… with a little help from us, and the bloggers below! As always, we wanted to help inspire your creative juices with a few recipes we found to help celebrate these two very different but equally loved treats that your guests will absolutely love! Take a look at what we’ve got for you this week! To start us off we have a most chic salad recipe brought to us by Stephanie over at her Blog i am a food blog! Your taste buds are about to skyrocket and we know you won’t be able to wait any easier than we have to try out the Watermelon Burrata Salad! Our next love affair was shared by our friends over at Cookingclassy.com. They’ve managed to take this infamously messy snack and turn it into a bite-sized delight that will surely please everyone and with the ease of an oven! Take a look at the recipe for S’mores Bites- Two Way! We all are well-balanced, and so we will always touch on topics that compliment them and their tastes; just like we do with every product we are proud to provide you. So, no matter whether it is National Watermelon Day or National S’mores Day- or any other day, always try to find a reason to celebrate, and we’ll be here to help keep it stylish and easy! Keeping the ‘U’ in FUN! 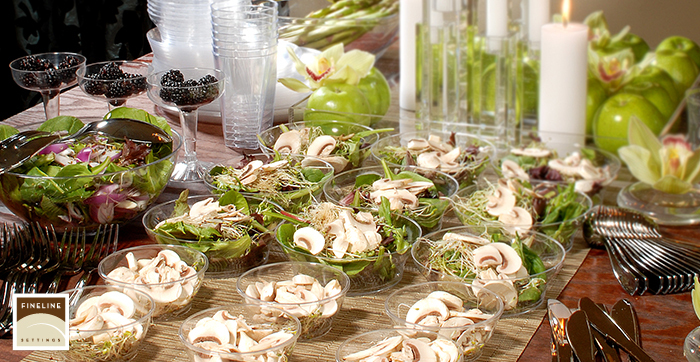 Be sure to let us know how your recipe and party ideas turn out! We love seeing what you, our dear friends, can do with our products and the recipes we love sharing with you!